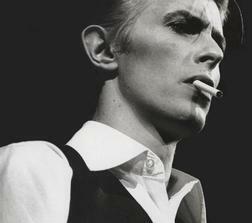 January 8th marks the 65th birthday of one David Bowie. To mark the occasion, Don't Touch That Dial will be hosting a Birthday Bash at The Garrison. Toronto bands Paint, The Folk, and Growling Woods, will all be performing Bowie classics throughout the night. There will also be a costume contest (can't wait to see all the Ziggy Stardusts), prizes, and more.